'The big question mark is McLaren with Honda. They have obviously got the potential to do very well. So said Daniel Ricciardo, just before everyone headed out for the start of pre-season testing, on the subject of who if anyone could possibly, somehow, challenge the Mercs in 2015. As it was though, the early signs of 'what they bring to the table' were cringe worthy. 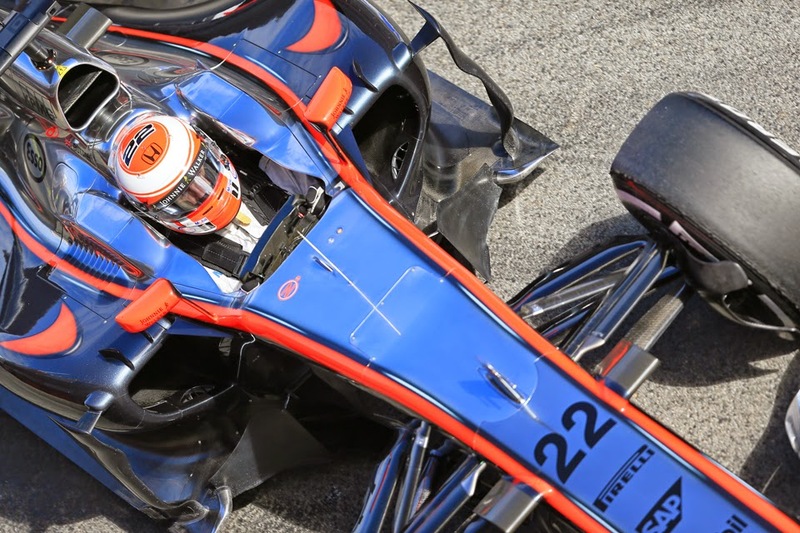 The McLaren hardly ran in the opening test due to a variety of problems; in the second, at Barcelona, things improved but only glacially and again reliability woes - this time mainly related to a faulty 'seal' - meant running was severely curtailed. Then at the point that you thought things couldn't get worse we had Fernando Alonso's accident, which not only left the driver unconscious and out of the final test but also revealed that there are plenty out there who don't take what the team says at face value. The accident aside it wasn't quite as bad as the Red Bull experiences of 12 months ago, but it wasn't far off. In addition it of course too followed on from the Abu Dhabi test at the end of last season which was an almost complete write-off. And as a scathing Gary Anderson pointed out there are few places for the operation to hide, given that unlike its rivals Honda has had a massive advantage of observing its rivals' experiences for a year, plus it's not like the partnership with McLaren was announced recently. At least in the second Barcelona test the lap totals improved, apparently via using a few old McLaren components in the interim, though just when it looked like things were on an upturn more gremlins struck. Yet despite all of what has gone on, or in some ways because of it, in a strange sense McLaren is the team that almost alone has a chance of threatening the imperious Merc this season on raw speed at least. Essentially the grounds outlined by Ricciardo haven't changed - while we know with reasonable certainty that Williams, Ferrari, Red Bull et al aren't on the Mercedes pace, the case of the McLaren-Honda remains an unknown. Furthermore the potential, on paper at least, is considerable. Not just in terms of the pieces - McLaren, Honda, Dennis, Boullier, Prodromou, Alonso - but also that there is some evidence that suggests once the car is working it'll fly. The 'size zero' chassis layout looks the business, and obviously given Peter Prodromou's background it has a family resemblance with recent Red Bulls, which have set the recent standard on chassis design. The team insists that the downforce and horsepower numbers it's getting back at the ranch are highly encouraging. Both drivers have made positive noises about the car's handling - though as Karun Chandhok for one pointed out, just about any car running below the limit handles well - and Button has said that the traction is excellent too. More broadly, even the struggle in a strange sense may be a good sign, in that it indicates an operation aiming for the stars rather than playing it safe - the former being exactly what it needs to do to have a chance of toppling the haughty Mercedes. Most broadly of all you suspect that Honda won't rest until it's back at the top. Already a title tilt this year looks an extremely long shot. If nothing else, it seems certain - and again this is admitted by the team - that Melbourne comes too soon. That whatever the potential of the McLaren-Honda that Mercedes will be able to build up a large - possibly insurmountable - points lead while it's getting up to speed. It is likely too that the McLaren finally running at full pelt will uncover yet more reliability problems not yet encountered. Competitive runs later in the year in preparation for a proper title challenge in 2016 looks instead more achievable. But still, given that all concerned consider this a long-term project, that is a scenario that they would readily accept. 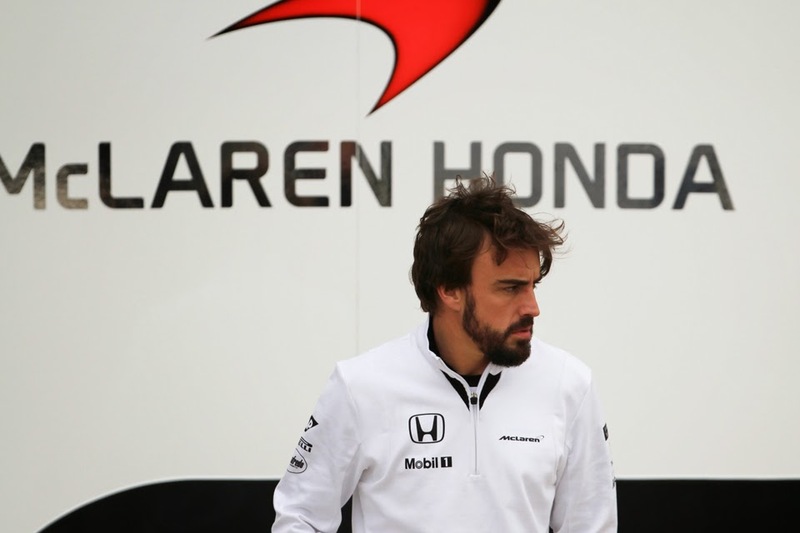 Fernando Alonso returning to McLaren; more to the point Fernando Alonso returning to McLaren under the command of Ron Dennis. Up until just a few months ago the prospect of a dodo flying over the McLaren Technology Centre would probably have got shorter odds. In reality though it was a matter of necessity for either party. In Fernando's case his only alternative to Woking was a sabbatical. His Ferrari relationship was clearly irrecoverable, Red Bull again decided to grow its own and there was no room at the Mercedes inn (and even if there had been it's not certain how keen innkeeper Toto Wolff would have been to let him in). But the McLaren team too can be highly pleased with its catch. Now for the first time since Lewis Hamilton departed at the end of 2012 it has a driver from the very top echelon. It can now be content that whatever shortcomings there are on the stopwatch cannot be attributed to the guy in the cockpit. That every time the Spaniard takes the McLaren out he'll drive the thing as fast as it's possible for it to go, perhaps even faster than that, lap after lap relentless lap. Moreover, that whatever performance deficit there is between the MP4-30 and the front, Fernando can be counted upon to make up some of it on his own. McLaren boss and driver also surprised (perhaps even disappointed) many in their disposition towards each other in McLaren's driver line-up announcement last December. Both seemed comfortable in the other's company, and moreover spoke of regret and reconciliation after their problems before, as well as that the reasons for the implosion last time as perceived from the outside weren't quite as straightforward as assumed. Most importantly both shared a determination to right the wrong as well as to get McLaren back to the very top. Of course, those predicting doom may be proved right. But as things stand it all feels rather different to eight years ago. The lengthy, apparently agonised, deliberation by McLaren over whether to stick with Jenson Button or the younger Kevin Magnussen to partner Fernando Alonso for this year was not the no-brainer that many, particularly in Britain, suggested. But the eventual choice to plump with Jenson made a lot of sense, and not merely because in 2014 he had the Dane on toast when it came to solid results and, towards the season's end particularly, pace too. Not merely either because Jenson's experience and equilibrium is more conducive to developing a new car and complex power unit. It also remains the case that in the here and now at least if you had a choice of any driver to go alongside one from the very top level such as Alonso then Jenson is the one a good few would pick. Just as was the case when he partnered Lewis Hamilton, he will be quick, consistent, bag a load of points but also has sufficient maturity not to get his head down nor kick up a stink on the inevitable days that his stable mate leaves him behind. And also just like when he partnered Hamilton, he's unlikely to be humiliated either. The oft-cited statistic that he outscored Lewis over their time together has a little of the lies, damned lies and statistics about it, given it owed something to his team mate's various woes. But that Jenson was close enough to take advantage reflects well on him. As for exactly how close he gets to Alonso, a lot will depend on where the MP4-30 is at. If it's struggling then the probability is that Alonso will destroy him, as the Spaniard's ability to somehow get tunes out of a wonky piano is well known, as is that Jenson by his own admission struggles in a car without a classic balance in its handling. 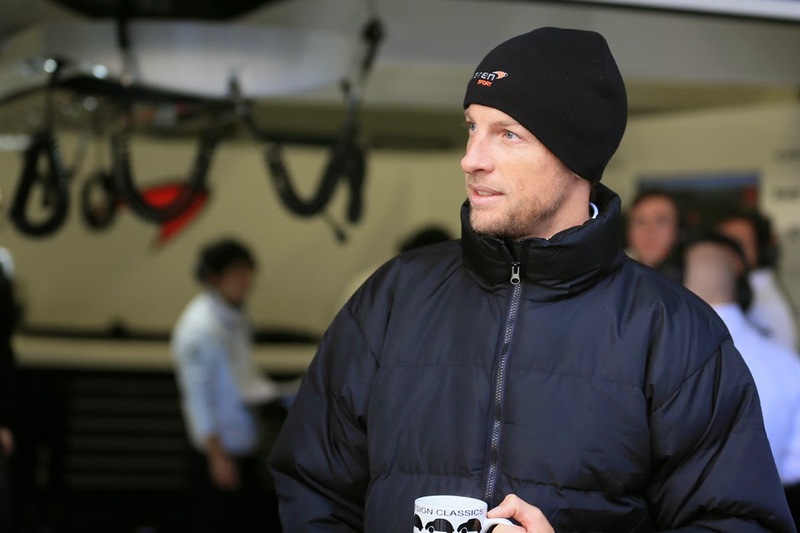 But the more the handling of the McLaren improves the more Jenson will come into the picture. Some of Button's supporters indeed reckon that while he certainly does not have Alonso's consistency and adaptability, perhaps the Briton's peaks are higher even than Alonso's. Possibly fanciful, but it's worth reflecting that in the early rounds of 2009 when he had the Brawn absolutely underneath him Ross Brawn opined that never had he known a driver to get as much out of their equipment. And think of some of the drivers that he's worked with.